if v in dist: continue # already searched this node. 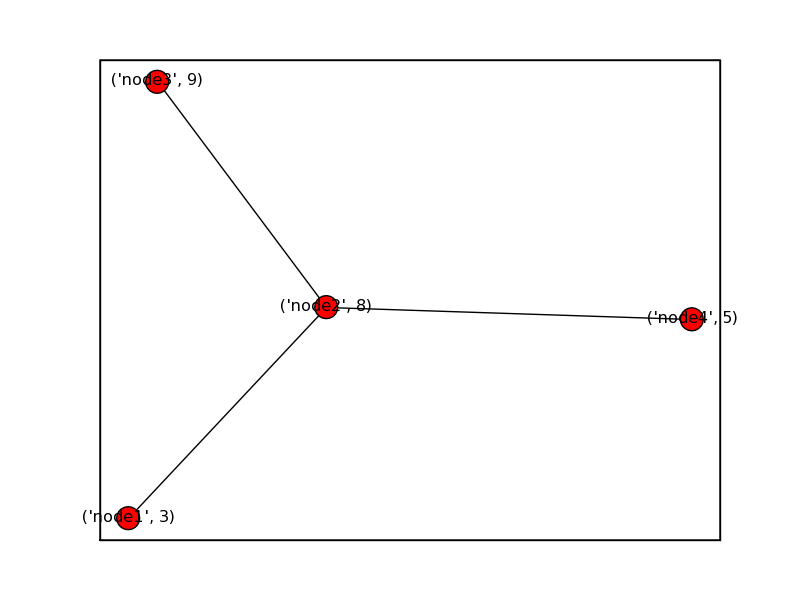 "Contradictory paths found: negative weights?" File "C:\Python24\Lib\site-packages\pylab.py", line 1, in ? File "C:\Python24\Lib\site-packages\matplotlib\pylab.py", line 197, in ? File "C:\Python24\Lib\site-packages\matplotlib\cm.py", line 5, in ? File "C:\Python24\Lib\site-packages\matplotlib\colors.py", line 33, in ? For standard python installations, you will also need to install either Numeric or numarray in addition to the matplotlib installer. matplotlib provides installers for Numeric and numarray users. matplotlib has a numerix setting in the matplotlib rc file (which by default resides in c:\python23\share\matplotlitb\matplotlibrc) and you should make sure this setting corresponds to your preferred array package. Loading the R DLL C:\Program Files\R\R-2.3.1\bin\R.dll .. Done. Loading Rpy version 2031 ..